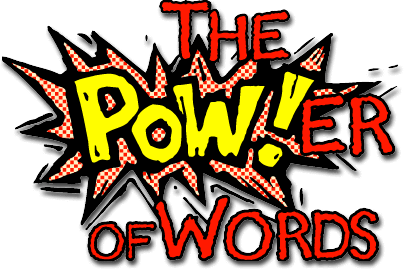 Where do words actually get their power from? Wanted to share an enlightening post to you all about consider how strong words are and why do they mesmerize our society so much. 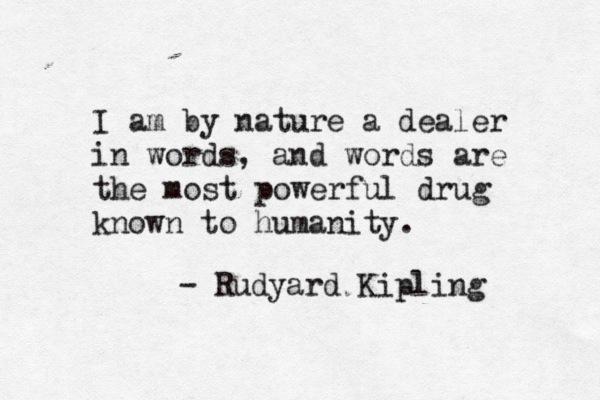 Words are such a powerful tool, which humans dominate. I would say the most efficient weapon they have. Obviously which is inert and originates from various languages. Words can be meaningful or lasting, short and straightforward, which way to go is your decision. Words produce consistency in your life with the impact of social interactions and emotions you gain from the opportunities you gain from the communications, which leads to the abilities and again, the power of words. They can randomly or necessarily hurt, make you laugh, realize, smile, enjoy and try to basically change your emotions, relationship and you as a person. This quote was revealed by one of my favorite American Youtubers. His message was to be spread across around the world to all of his subscribers and be basically just tried to motivate people to unite and connect through words, in my opinion this is very inspirational, those 38 words literally forced my brain to produce this post. And if you actually think about these words they are so simple but they make a great impact to make a value and catch people’s attention. See my point her, on how much power do words have? Practices of words are infinite. That’s why I loose myself in the enjoyment of its fluidity. So nothing stands on how to accomplish and use them expect for you. You try to include factors like: People who surround you (which are truly a part of you which makes them important for you and your life) in categories. But don’t assault them (so you wouldn’t reach the following consequences of repulsing them away) or heave the blame on them, remember you have them, its your life, so you can change that, if those people are truly important for you, you would not even include them as a factor of blame or hatred, you would change everything yourself. So your words come from you, not from what others say, they are just there to share the afterward emotions with you, support, concur new things and inspire you. The lack of words is equals to silence. Silence is a moment, which requires all the thoughtful words you have in your mind, which you physically don’t have to always express. This is more than just words. This is who you are and what you realize from your intuition. There is no need to talk in the moment, because all you need is the people and the moment itself to make it live and happen. This is where my point comes in that silence is equivalent to words because they express the same amount of power, which impacts people equally when they share silence or express words due to the variety of emotions these two factors give them. Words and silence are equal. Due to the corresponding aftermath on people. I like how languages can still unite and basically give the same meaning but reverse to their traditions and culture. Museums show same pictures of the world, just through different vision. For other cultures it might reflect in a blurred vision that’s why it rolls up the significance of enthusiasm and follows by desire to explore the world. That’s why people meet through words, without words there would be no actions, without actions there would be no history. “Words hurt more than guns” Subordinate and mainstream quote but is factualism is inevitable as I’m confident you all know. So don’t push people away with words, use this power to attract them and contribute to examine the world together. Make life consistent with words, embrace yourself and others around will a simple cheering phrase and when you see the delightful emotions of that person, you, your whole body will feel the vibe of that power words have and maintain. Juggle around with words and see the genius in simplicity.